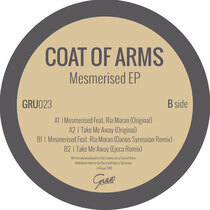 The Gruuv imprint returns this July in the shape of ‘Mesmerised’ by Coat Of Arms, backed with remixes from Darius Syrossian and Ejeca. 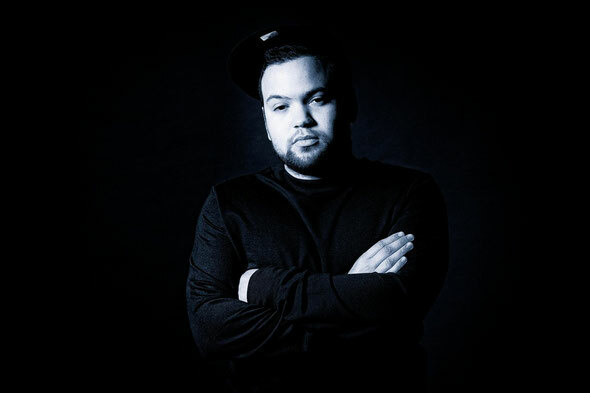 Coat Of Arms, formerly Chris James and Eats Everything, now left solely in the capable hands of Chris alone, made a decent impact over the past few years, with singles and remixes for the likes of Pets Recordings, Futureboogie, OFF, Culprit and Leftroom. Here Coat Of Arms returns to the Gruuv label, following his remix of Tom Budden & Forrest’s ‘Lady Is Trouble’ earlier in the year. ‘Mesmerised’ opens the release, a bumpy deep house workout featuring the sensual, heartfelt vocal tones of Ria Moran. James opts for his signature hooky, tom-driven bassline, bright chord sequences and shuffling drum programming to create a tasteful house cut with a mark of originality imprinted. Up next is the original mix of ‘Take Me Away’ first, Coat Of Arms delves deep this time with classic 808 drums and cosseting pad lines that flutter and warble in pitch throughout the record, while a stabby bass-hook thrown into the mix sporadically puts things on a more peak-time tip at points. On the flip side of the release Darius Syrossian reworks ‘Mesmerised’, upping the energy slightly and veering the vibe into a raw, dubbed out house track. Elongated delays build a profound background depth, while weighty distorted drums and swirling noise sweeps further fuel its gritty edge. Lastly to close the EP, Ejeca reshapes ‘Take Me Away’, taking a contrastingly rough and ready approach, using dusty samples, gritty saw-wave bass tones, classic organ licks and subtle manipulations of the original’s vocal chops, creating an understated, contemporary remix. It’s out now.